The artist will most likely respond to a request within 1.5 days. This commission slot was rated positively by 12 clients thus far. 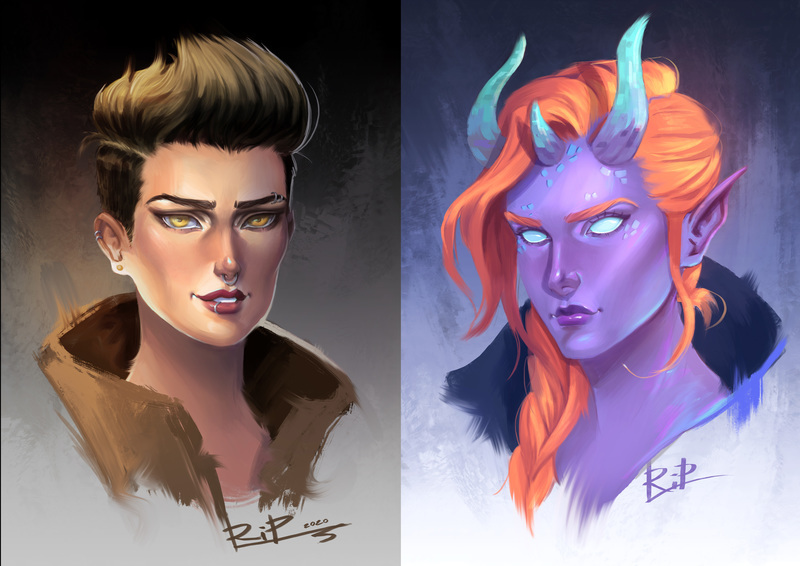 Quick and stylized semi-realistic portrait of any type of character. I'm very experienced with fantasy creatures, races from different games and books. To commission me please send your character's name and age, visual references if available, desired expression and position of the head. If you don't have visual references, short written description is perfectly fine! *Additional details might increase the price of your commission. *I'm starting work on the commission once the slot is set to paid.